Street Artist Megx Paints German Bridge to Look Like Giant LEGO Bricks! 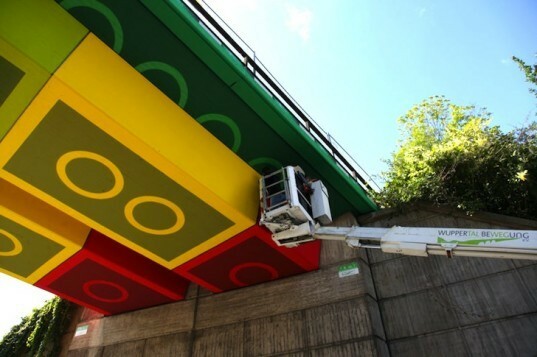 Imagine driving to work using the same route as always only to find that one of the drab overpasses along the way has been given a LEGO-lift! 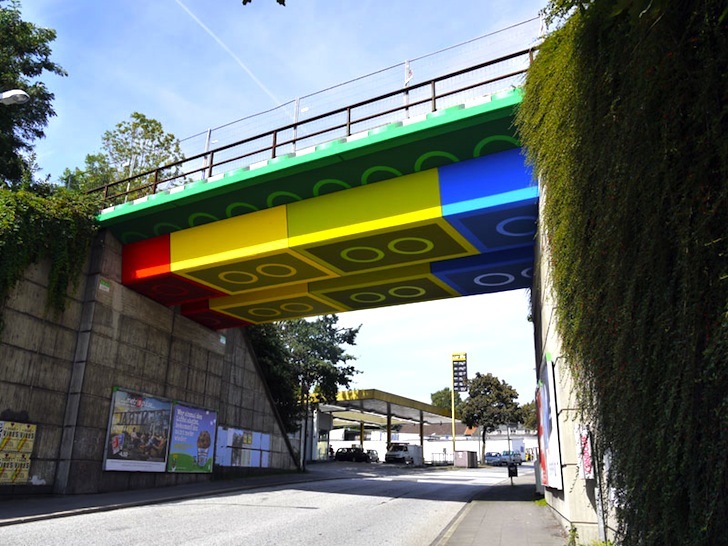 That is what happened to residents of Wuppertal, Germany when Martin Heuwold of Mgex painted a train overpass to appear like it had been fitted with a series of colorful LEGO bricks. It took Martin four weeks to complete the project, which required a lot of help from the municipality who cordoned off the space while the artist completed the vibrant transformation. As a result, the LEGO-lift wouldn’t have been a surprise for anyone who passes through on a daily basis, but it has to brighten up their daily commute. We are big fans of LEGO on Inhabitat, and some of our past stories highlight LEGO animals that invade the Bronx Zoo, an I-beam in New York constructed entirely out of LEGO, and even the world’s first LEGO greenhouse. The Wuppertal bridge gives credence to the popular building blocks without any of the material use. Pretty cool, huh? Commuters who pass under the bridge every day now have something bright to look forward to! This is what the bridge looked like before!